The Bulls will move away from their traditional blue strip once again this weekend when they host the Reds in a Super Rugby clash. Stormers coach Robbie Fleck says captain Siya Kolisi's yellow card was decisive in their 24-12 defeat to the Reds in Brisbane. The Reds have made three changes to their starting XV for their Super Rugby encounter against the Stormers in Brisbane. South African forwards see their Australian counterparts in Super Rugby as "soft", Reds prop JP Smith has said. Queensland Reds reject Quade Cooper said he holds no grudges against his former team-mates after spearheading the Rebels to a Super Rugby win. 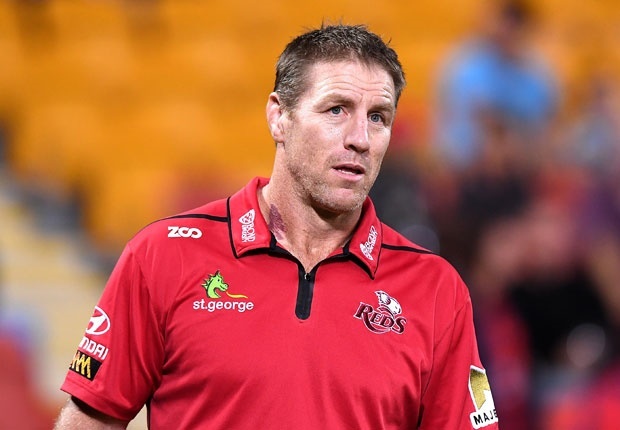 The Reds have made two changes to their starting XV for their Super Rugby clash against the Melbourne Rebels in Brisbane. The Melbourne Rebels welcome back a host of key players for their massive Australian Conference match against the Reds. The Reds have claimed a come-from-behind win over the Sunwolves in their Super Rugby clash in Toyko. The Reds have made five changes to their starting XV for their Super Rugby showdown against the Sunwolves in Tokyo.